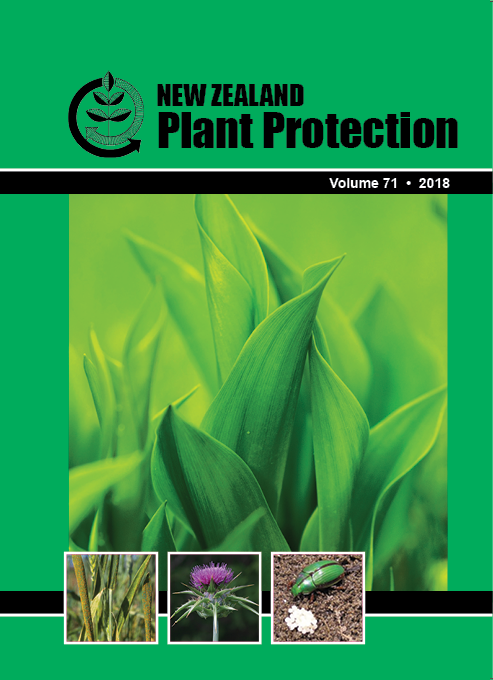 The lack of plant biodiversity in New Zealand pastoral ecosystems may limit the abundance and diversity of generalist parasitoids and predators, predisposing these ecosystems to pest outbreaks. To test this hypothesis, patches of turf were established in existing pasture during spring 2016. Four treatments of increasing plant complexity were established, commencing with ryegrass alone, and increasing exponentially up to eight species of forage plant per patch. In the summer of 2017, insects were collected from the patches and control plots using suction to assess whether or not plant diversity had influenced the abundance and diversity of lacewings and parasitic Hymenoptera aggregating in the patches. Plant species richness had no impact on lacewing abundance but fewer parasitic Hymenoptera were recovered from the ryegrass-only plots compared with more species rich plots. Also, a wider range of parasitoid families were represented in the more diverse plant treatments compared with the less diverse treatments. Such diversity may have beneficial impacts on the stability of pasture ecosystem and the risk of pest outbreaks.